Set up your Sony Android TV and install the apps you'd like to use (e.g., Netflix, Hulu+, Plex). 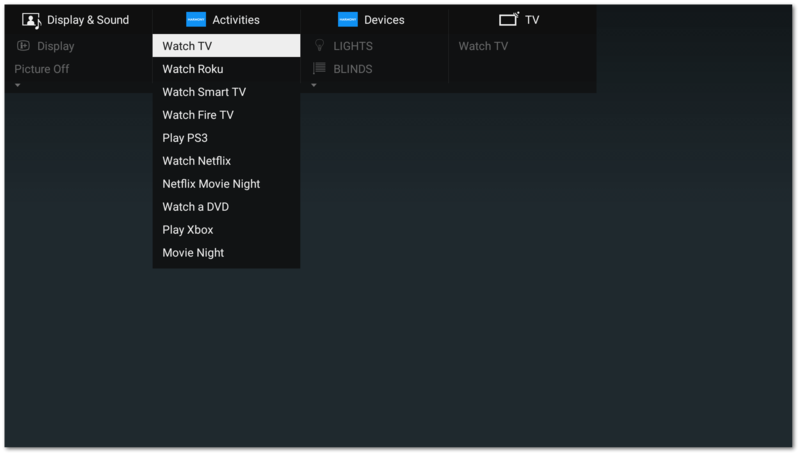 Harmony will search for Sony Android TV devices on your home network. Tap to ✓ the box next to Sony TV, followed by NEXT. You'll be prompted to pair your Sony TV with Harmony. Connect your Harmony remote to your computer with the provided USB cable. Harmony will scan your home network for devices. Ensure both Sony Android TV and your Harmony hub are on the same Wi‑Fi network. Once complete, you'll be prompted to pair your Sony TV with Harmony. Text entry is supported on Sony Android Smart TVs. Text entry is not supported on Sony Smart TVs. If your Harmony hub has previously been registered, then you must deregister it before adding your tv. The most common way to achieve this is by navigating to the Home screen and selecting Settings > Network > Home Network > Remote device / renderer > Remote devices > Logitech Harmony and selecting Deregister. 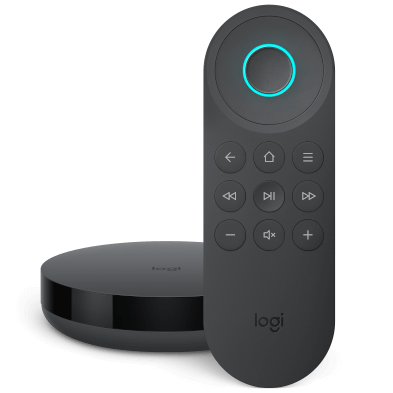 If the steps above don't work for you, try navigating to the Home screen and selecting Settings > Remote device settings > Deregister remote devices > Deregister Logitech Harmony. Ensure your Sony Smart TV and Harmony hub are on the same home network. Navigate to the Home screen and select Settings > Network and verify that your TV and Harmony hub are connected to the same network. Ensure Remote device/renderer is enabled. Navigate to the Home screen on your Sony TV and select Settings > Network > Remote device settings > Control remotely and set it to On. Ensure Remote Start is enabled. 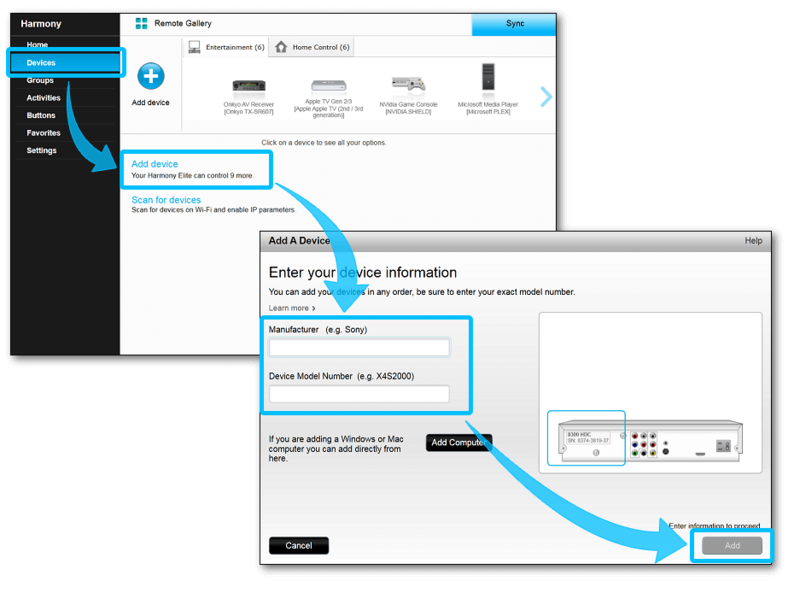 Navigate to the Home screen on your Sony TV and select Settings > Network > Remote Start > On. 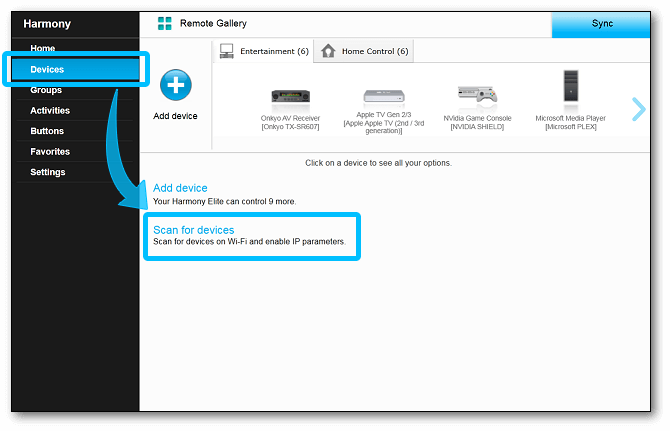 After changing the above settings, you may be required to remove your Sony Smart TV from your Harmony setup, and then re-add it to enable IP Control functionality. Ensure Remote device/renderer is enabled. Navigate to the Home screen on your Sony TV and select Settings > Network > Home Network > Remote device/renderer and set it to On. The Harmony app for Sony Android TV is no longer available on the Sony Android TV app market. 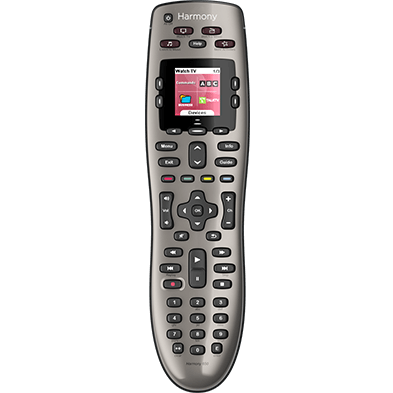 If previously installed, you may still use the app to control your Harmony Activities, even using your original remote, from the Android TV interface. See below for more details. Access your Harmony Activities and devices right from your TV screen, there's no need to look down at your remote and risk missing something important. The Action Menu can hold up to ten of your Activities, by default this will be your first ten. If you have more than ten Activities, you can deselect and select Activities you want accessible from the Action Menu. Using your Sony remote, press the ACTION MENU button. Access the menu option that's second from the right and select your Activity. Access the rightmost menu option and select the type of device you'd like to control. A new menu will open up, allowing you direct control of your device. The Harmony app for Sony Android TV is unable to control smart locks. Attempting to start an Activity that contains a smart lock will fail and none of the associated devices will turn on. Harmony Hub connects with Sony Android TV through your home's network allowing navigation and control from your Harmomy remote, or the Harmony mobile app. 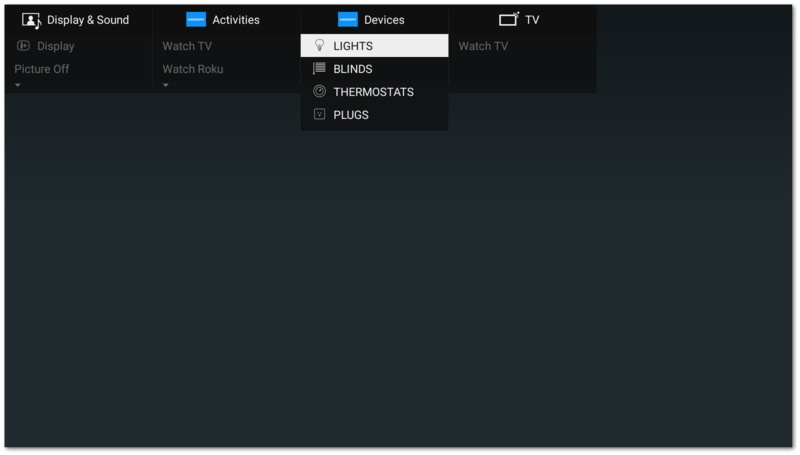 You can also launch and end Activities using the Android TV interface. Please ensure Android TV is connected to the same network as your Harmony hub. 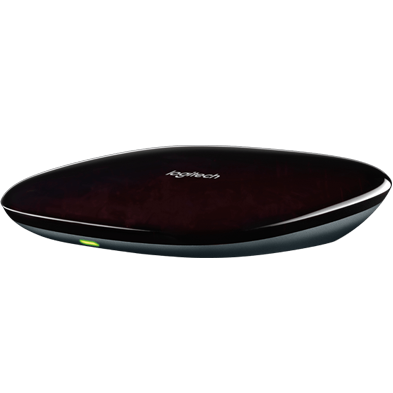 Depending on your Harmony configuration with Sony Android TV, Harmony will either control this device using Wi-Fi or infrared (IR) signals.